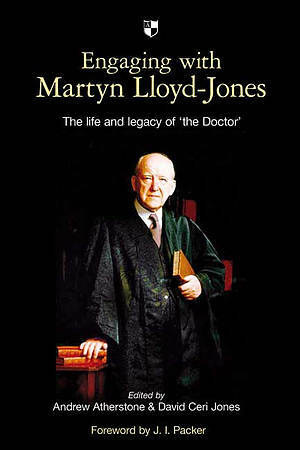 The figure of D. Martyn Lloyd-Jones (1899-1981) dominates the history of British evangelicalism in the twentieth century. As perhaps the greatest non-conformist statesman of his generation, 'the Doctor' is best known as a preacher and mentor of young preachers. From the pulpit of Westminster Chapel in London and other platforms, he called the evangelical movement back to a robust reformed Christianity, with a passion for biblical conviction and Spirit-empowered revival. His impact upon evangelicalism was immense, and his legacy remains deeply influential. 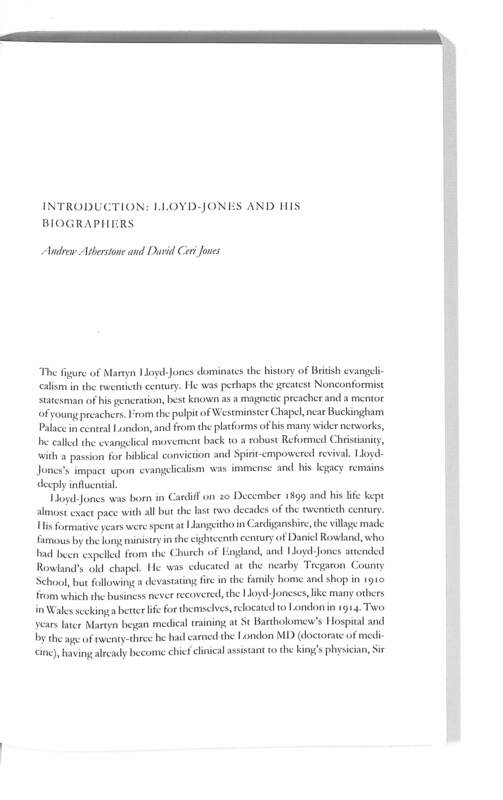 By building on, and engaging with, the work of earlier biographers and theologians, this valuable collection of new studies seeks to advance our understanding of Lloyd-Jones' life and legacy in a number of fresh directions. The topics covered are: the interwar Calvinist resurgence, Wales, revival, the charismatic controversy, ministerial education, fundamentalism, Barth, Rome, the Anglican secession crisis, and the Protestant past. 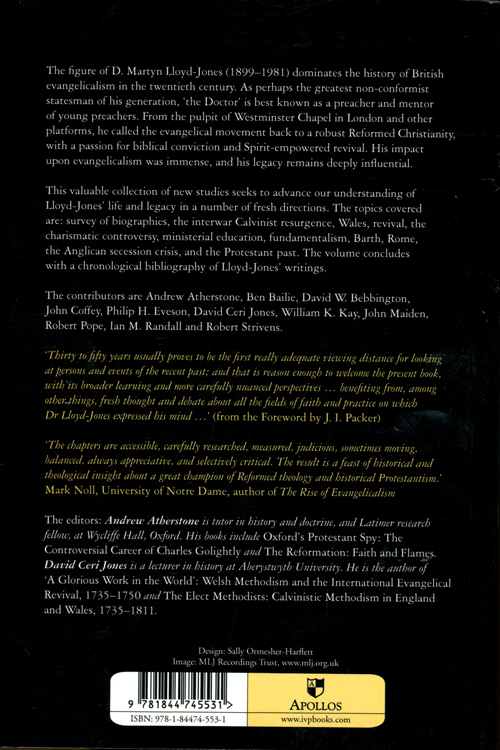 The volume concludes with a chronological bibliography of Lloyd-Jones' writings. The contributors are Andrew Atherstone, Ben Bailie, David W. Bebbington, John Coffey, Philip H. Eveson, David Ceri Jones, William K. Kay, John Maiden, Robert Pope, Ian M. Randall and Robert Strivens. 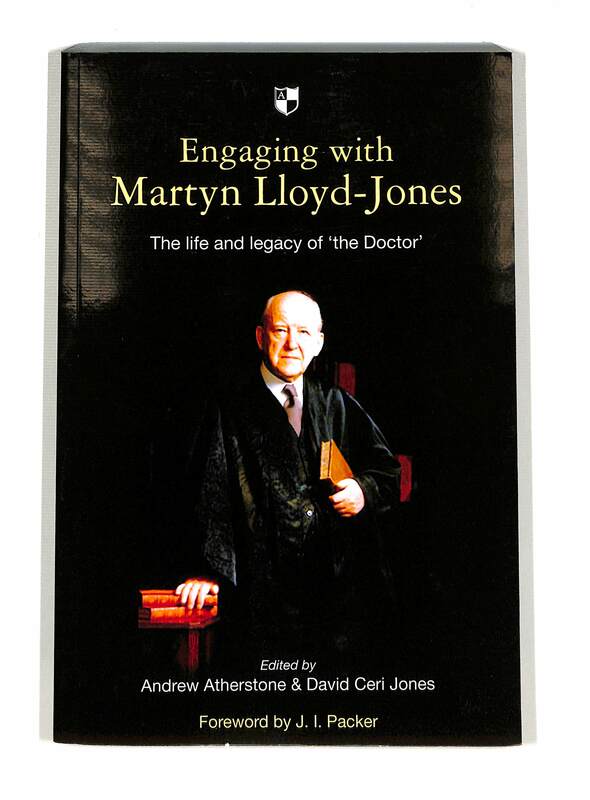 Engaging with Martyn Lloyd-Jones by Andrew Atherstone & David Ceri Jones (Eds) was published by Apollos in November 2011 and is our 26879th best seller. The ISBN for Engaging with Martyn Lloyd-Jones is 9781844745531. Be the first to review Engaging with Martyn Lloyd-Jones! Got a question? No problem! Just click here to ask us about Engaging with Martyn Lloyd-Jones.